Every month the Utah Department of Work Force Services releases the latest employment and unemployment numbers for the state. Check out the most recent video below for a detailed update. The state of Utah currently has a 4.0% unemployment rate which is well below the 4.9% national average. “Employers continue to find the workers they need, and they're creating the jobs that keep our economy going,” says Carrie Mayne, Chief Economist at the Department of Workforce Services. Jarum Stone, the safety and operations manager at Your Employment Solutions had this to say about the latest job report. I would say that is also a reflection of how YES is doing. 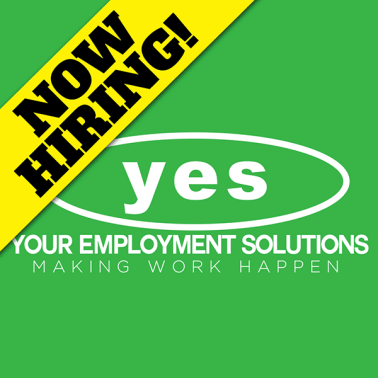 We have more jobs available than ever before in the history of YES! The increase of unemployment rate from 3.8 to 4.0 is a great sign for our economy. With more jobs there are plenty of opportunities for employees to be selective in terms of where they want to work. We know that when employees can be selective they are more likely to find a job they love rather than settle for the few options available.